D-E-B-T! In my view, CASH FLOW KILLER. Seriously, debt can hold your life hostage. It is overwhelming! The stress. The worry. Until you decide to get out of debt and stay out of debt! Until you decide to pay it off, then you can life live D-E-B-T F-R-E-E!! Yes, it is possible. I paid off debt and you can too. Read about why we wanted to be debt free and how we paid off $53,000 in debt in one year. The amount of debt lingering over each and every household is large and more importantly stressful. Total debt has risen to over $13.5 Trillion for American households as of late 2018. Yes, that is a “t” on that word. Are you able to wrap your head around that number? Personally, I haven't. In addition, the total household debt is rising each consecutive quarter for the last 17 quarters (more than four years). Even though, there is that much debt in society. It doesn't mean that debt should be normal. We have become accustomed as debt being an okay method payment. And that is NOT okay! Thankfully there are some awesome debt management apps on the market to solve your debt problem. 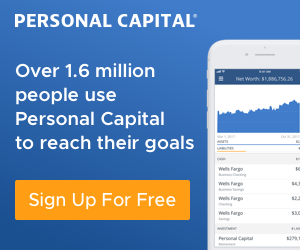 Are you ready to kick the cash flow killer – DEBT – in 2019? When we paid off our debt, smartphone apps weren't popular. Everything was done with paper and pencil or maybe upgraded to an Excel Spreadsheet. It was grueling trying to figure out which scenario is best – debt snowball vs. debt avalanche. 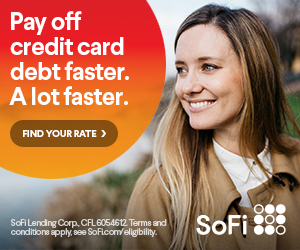 Trying to figure out a payoff debt was more complicated and when you found one, it was probably the best guess debt free date. Today, it is much, mush easier! 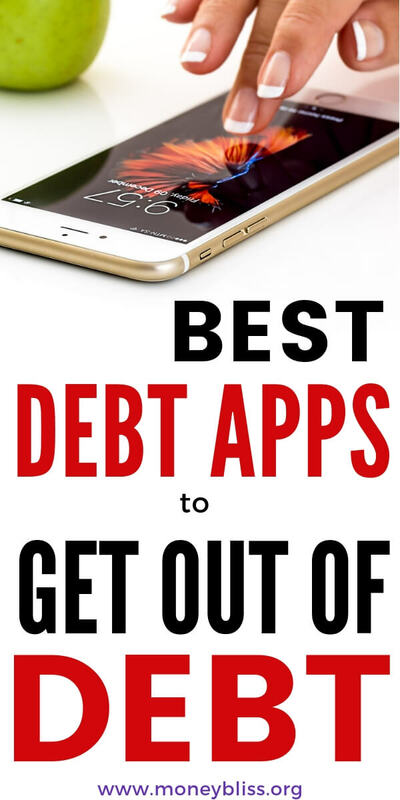 There are a TON of apps to help with debt, but also to motivate you through the process. The debt apps make the process so much easier. Make sure to pick out your favorite debt management app to stay on track. So, then all you have to do is pay your debt off and live the life you want to live! So, which ones made the best debt apps list? Did you know paying off debt is not the first step in the Money Bliss Steps to Financial Freedom?!?! There are three common ways to pay off your debt. Two of them you can find debt free success stories. While the third option is left searching for more answers. The goal is to pay off debt. However, one of the most common mistakes people make when paying off debt is just throwing money at this debt and that debt here and there. There is no method to the madness. There is no plan of attack. If that is you, then schedule a debt buster consult with me. 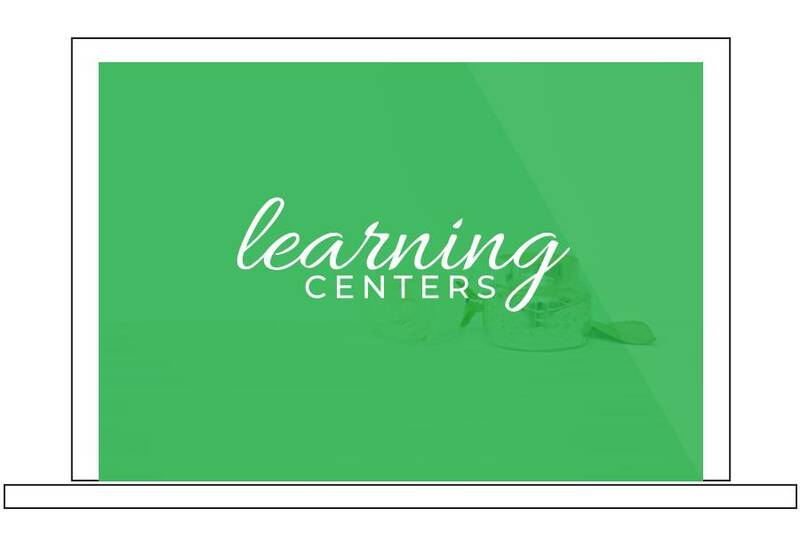 During our session, we will lay out a strategic debt management plan that is tailored for your personal situation. So, then you can pay off your debt and move on with life. Also, make sure you don't make one of these common debt payoff mistakes! The debt snowball is the most commonly heard of term. Start with your smallest debt and keep rolling down this list until you hit the largest debt. With the debt snowball, no attention is paid to the interest rate. Everything is about momentum with the debt snowball. This method to payoff debt is great for someone who needs motivation to stay on track. The debt avalanche method is more sophisticated of a concept, but not challenging to pay off debt that way. Plus you can save thousands of dollars in the process by choosing this method. With the debt avalanche, you start with the highest interest rate and work down the list to the smallest interest rate. Momentum can be stalled if one of your largest debts also has the highest interest rate, but then you don't have to pay it off at the very end either. While it will take time to pay off the largest debt first, it may save you thousands of dollars in the end. Find a full explanation of debt snowball vs. debt avalanche. All in all, any of these debt management apps help you pay off debt! Many of them apps also have a web version available too! The critical part of success is to actual use the debt app. I know. I know. That sounds really really simple. And it is. However, it takes time to load all of your debt and figure out what scenario will work for you and making a plan of attack. 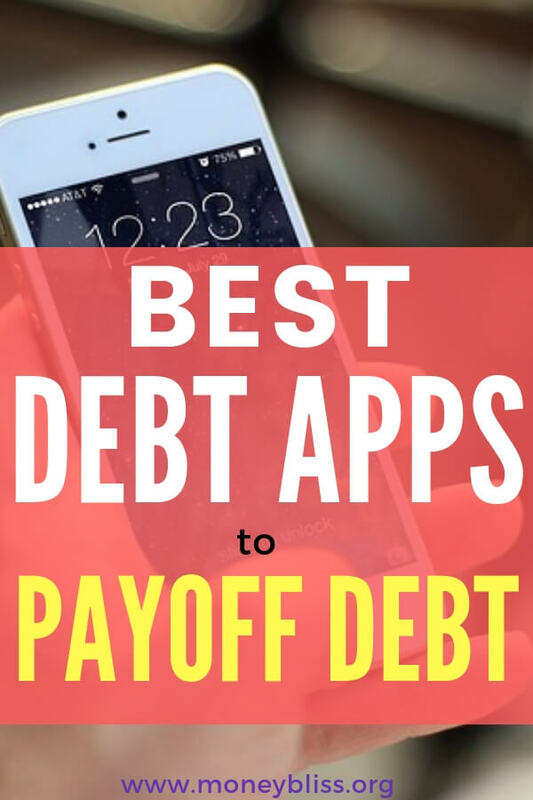 These apps help with debt. As hard as it may be, it is better to know your overall debt situation. As part of my comprehensive debt coaching, my favorite debt app to use and recommend the most is this one. Don't delay! Pick which apps to help with your debt situation. No more guessing when your debt will be paid off. Figure out your payoff date now. Then, you can live debt free! This worksheet addresses all areas of your debt picture. You decide which method - debt snowball or debt avalanche - works best for your situation. 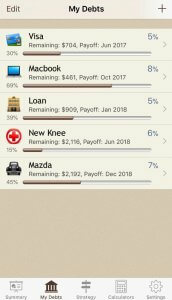 Undebt it tops my list of favorite apps to help pay off debt. This app will customize your debt payoff plan according to what will work best for you. 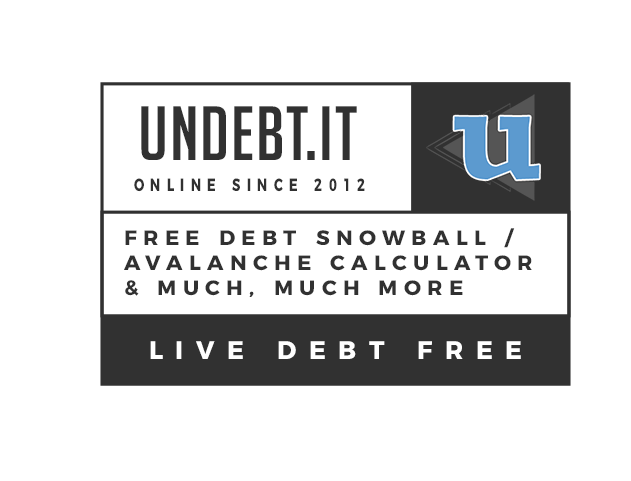 Trying to understand which method – Debt Snowball vs. Debt Avalanche will work for you? Undebt it will tackle your question and you can decide which method works best for your personal situation. Credit score a concern? Undebt.it will take that into account and help create a plan to increase your credit score. Plus it will generate an easy to follow payment plan to help you eliminate your debt. Enter basic account information and Undebt.it will take care of the rest. Privacy concerns? Don't worry – you aren't sharing your passwords for other accounts (unless you upgrade to Premium). See how it works today and why they have over 69,000 active users and collectively paying down $4.9 billion of debt. **This debt management app is also available as a website. 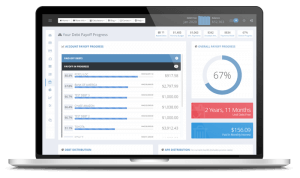 The Debt Payoff Planner allows you to review which method – Debt Snowball vs. Debt Avalanche is best for you. Also, it allows a custom plan to be built. This app allows you to track your debt payments made and updates your progress. 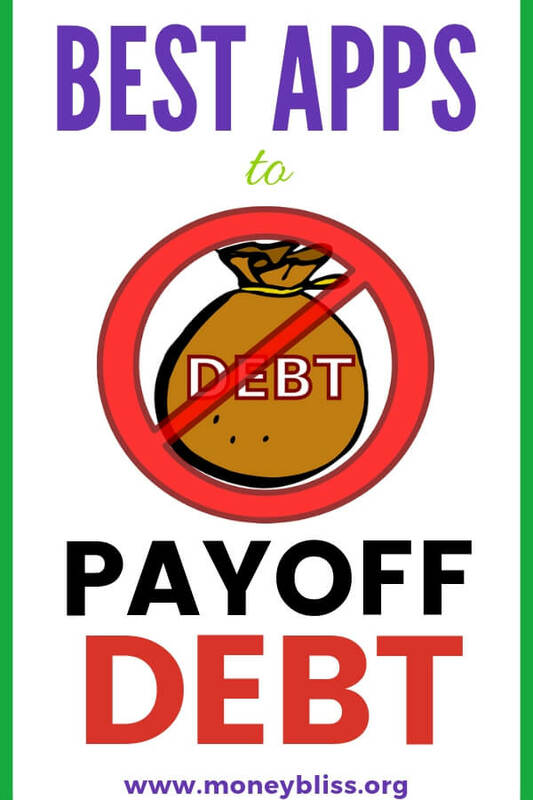 Basic info is needed to start with Debt Payoff Planner and no login required. To get started using the debt payoff app, all you need is current debt balance, interest rate, and minimum payments. This app can integrate with full web access. On the Debt Payoff Planner, they don't auto-renew your contact on premium plans! They are dedicated to your success in paying off debt. 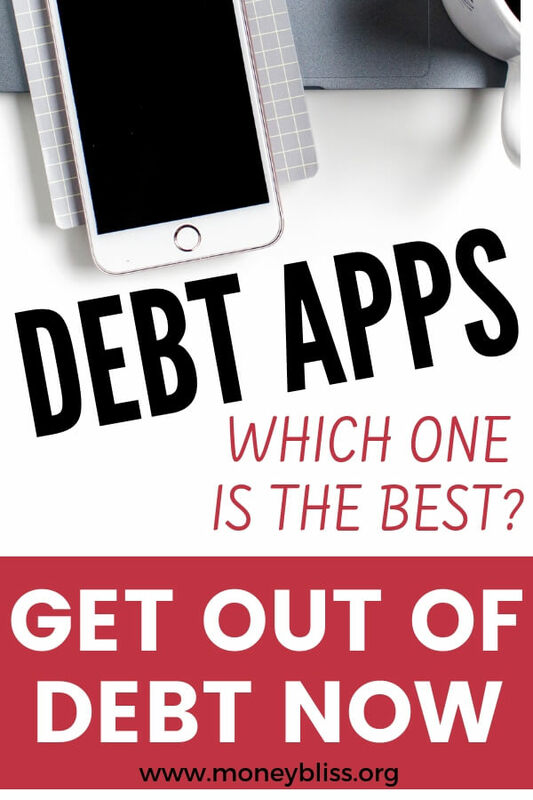 These apps to help with debt are all very similar, but Debt Manager is different in one specific way. They highly suggest using the debt snowball method! If the debt snowball method is necessary for your debt free journey, then check out the Debt Manager. Simple put… Unbury.me is a loan calculator app to help with debt. 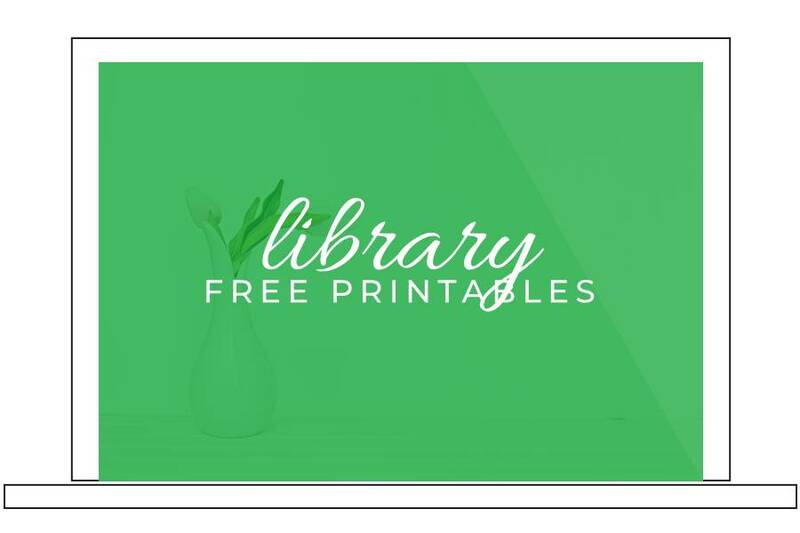 Their goal is to help you become debt free as soon as possible and always be free to use. 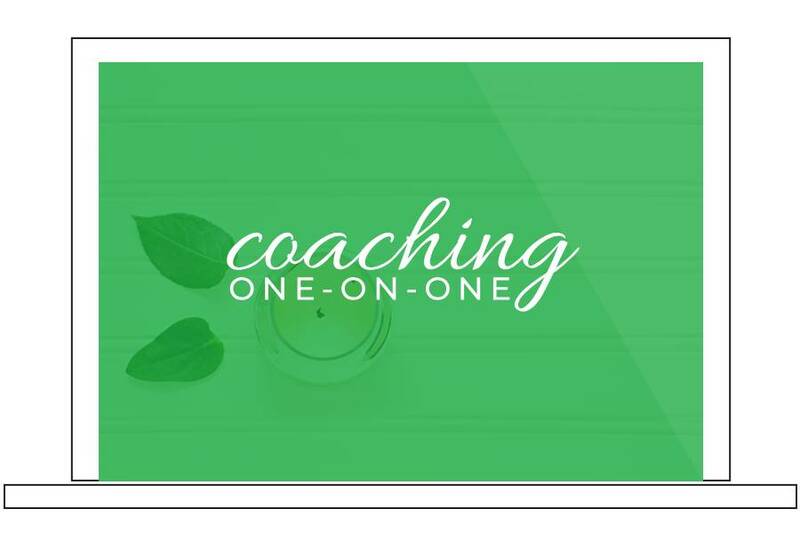 This is a web-based program – not a smartphone app. Very simple tool, but it does the job of helping you get out of debt. These apps to help you get out of debt were previously recommended. However, for various reasons, we determined there are better options available today. If the app developers decide to update their apps and address some of the bugs, then they would be great apps to help with debt. This app focuses on the debt snowball strategy. It will calculate the debt avalanche or a custom debt payoff method, if preferred. 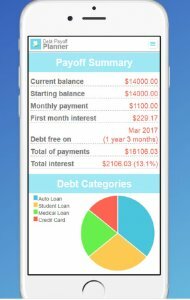 The app has all of the basic information to help pay off debt. It is very basic, but if you don't need the bells and whistles it would suit your needs. The biggest benefit of Debt Snowball Pro is they will help you select the best payoff method. Thus, taking out some of the guessing games. This app allows you to update your balances as needed plus add and remove debts. It also shows your debt payoff dates and interest saved. One of the best features is the progress bar, which is encouraging while paying off debt. If you choose, you can also share your progress updates on Facebook and Twitter! This app can be gifted – neat gift idea! Just remember paying off debt is one of the Money Bliss steps to financial freedom. But, it is not the #1 step! Make sure you build a strong foundation before tackling your debt. Then, you won't slip back into a debt cycle again. These steps are laid out for you to enjoy a life of Money Bliss. This is a path, a guide, to help you enjoy financial freedom. The Money Bliss Steps are in order for a reason. They work. Seriously, using a debt app is the best. This was definitely not an option when we paid off our debt. Comment below and let me know which debt app is your favorite. 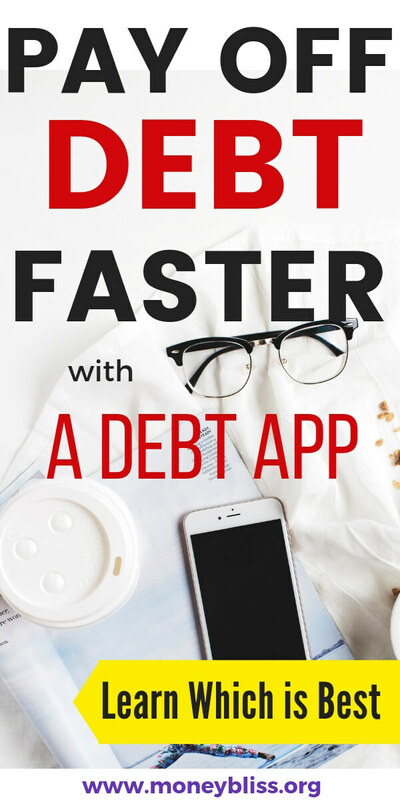 Which app will help you payoff debt the fastest? **This post was updated in January 14, 2019. We needed to verify our recommendations are still the best debt payoff apps on the market!